Looking to make a deal – and break some bread? 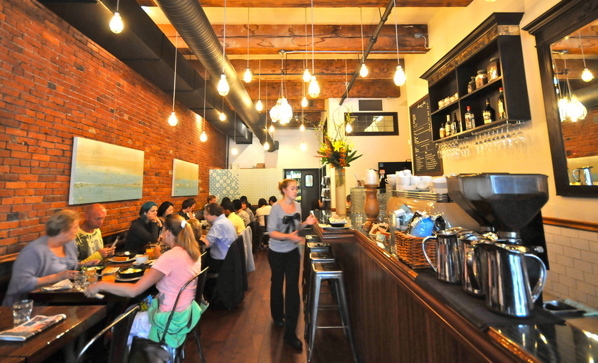 Here, Vancouver’s best places for a power lunch. Whether or not you’re hedging against the Yuan, head to the city’s premier Cantonese restaurant, which has been serving the business elite for more than two decades. Tables in the elegant dining room are well-spaced out, but for those wanting more privacy there are also VIP rooms. 355 Burrard St., 604-688-8191. Looking to loosen up a tense deal? Nothing a bottle of Barolo can’t handle. Grab a corner table at this charming, comfortable Tuscan restaurant, order some delicious food – and wine –? and your guests will soon be at ease. 1382 Hornby St., 604-669-2422. Meet media types for casual conversation in this sophisticated Crosstown café. If you linger over a late lunch, the small space will clear out, allowing for intimate dealings over rosewater mochas or Belgian brews. 556 Beatty St., 604-879-3114. Set the right tone for your meeting by reserving a spot in one of four dining areas at this luxury lunch spot: go casual in the intimate café, daring on the heated terrace, laidback at the bar or all business in the dining room. 1128 West Georgia St., 604-695-1115. Dining with discerning Bay Street businessmen? Impress them with a fresh West Coast meal in the soaring, sleek new space that houses Coast. Be prepared to pick up a very pricey tab. 1054 Alberni St., 604-685-5010.